Found 10 blog entries for December 2015. 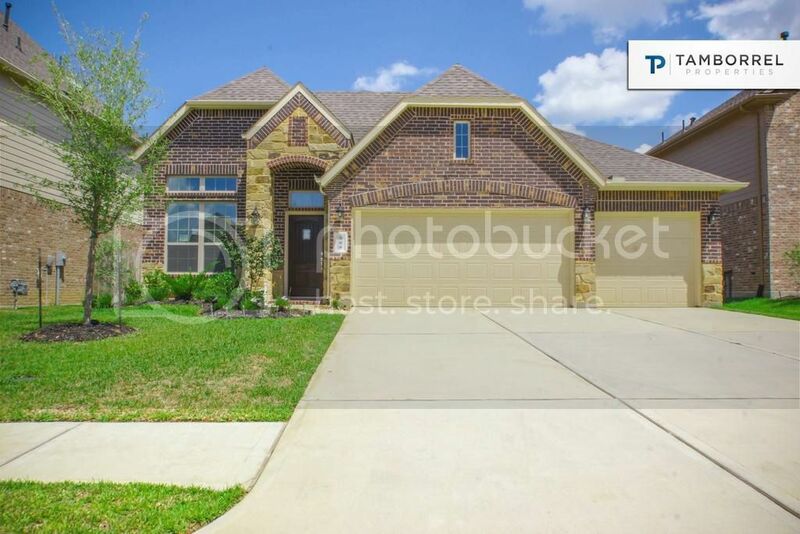 209 Dove Meadow Dr is a home for sale in Conroe, Texas. It has a great location, within the neighborhood of Jacob’s Reserve, that will allow residents to quickly reach I-45 and SH242, from which they can quickly get to other places of the Houston Greater Area. This 1,942 square feet residence is located on a 6,875 square feet lot and features a gorgeous brick veneer and stone exterior and an open floor plan. There is a small, but welcoming front yard. 209 Dove Meadow Dr offers 3 bedrooms, 2 full bathrooms and a 3-car attached garage. The master bedroom features a spacious bathroom with double vanities, granite countertops, separate bathtub and shower and walk-in closet. Tuesday, December 22nd, 2015 at 4:52pm. 29526 Usonia is a home for sale in Wright’s Landing built by Signorelli Homes in a gorgeous Craftsman style. It is located just ten minutes away from I-45 and 15 minutes away from The Woodlands Town Center. Its central location puts it near great schools and shopping venues. This brand new Vanderbilt plan was built on a 6,000 square feet lot and has 2,900 square feet of size. It features a cement board and stone exterior with covered front and back yards. It offers 4 bedrooms, 2 full & 1 half bathrooms and a 2-car attached garage. The master bedroom features an elegant bathroom with double vanities, granite countertops, separate shower and bathtub and walk-in closet. Sunday, December 20th, 2015 at 8:35pm. Looking for a home in the master-planned community of Woodforest? 121 Stonecrop Pl is an excellent option to become your next home. Visit it today! You just have to call us to schedule a showing. 121 Stonecrop Pl was built by Darling Homes, is located on a 9,274 square feet lot and has 3,332 square feet of size. It features a stone and brick veneer and stone exterior and offers 3 bedrooms, 3 full and 1 half bathrooms and a 3-car attached tandem garage. Thursday, December 17th, 2015 at 1:04pm. 109 Stonecrop Pl is a home for sale in Woodforest, a master-planned community in Montgomery, Texas. This gorgeous residence could be the home of your dreams, so we invite you to get to know it and schedule a showing. This 4,225 square feet residence is located on a 9,160 square feet lot and features a stone and brick exterior and offers 5 bedrooms, 5 full & 1 half bathrooms and 3-car attached tandem garage. Built by Darling Homes in 2014, 109 Stonecrop Pl features hardwood floors throughout most of the first story, as well as stainless steel appliances, granite countertops and tile backsplashes in the kitchen, study with French doors with arched windows and spacious game room and media room in the second story. Wednesday, December 16th, 2015 at 10:11am. 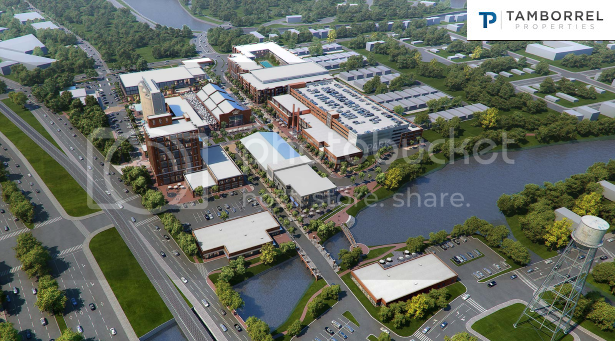 The Texas Real Estate Fund, Inc. has just announced the development of the Imperial Market shopping center in Sugar Land Texas. This new venue in south Houston will be located on US Highway 90, just between Texas Highway 6 and I-69. Imperial Market is being developed over a terrain of 25 acres and will offer 876,000 square feet of mixed-used venues. Construction of Imperial Market will begin on the first quarter of 2016 and it is slated to open its doors in the summer of 2017. 270,000 square feet of Imperial Market will be dedicated to upscale retail, where buyers will find a combination of restaurants, fashion retailers, entertainment venues and soft good merchants. All of these will be located on a 25-acre area along the banks of Oyster Creek. Monday, December 14th, 2015 at 1:51pm. Generation Park, a business district located in Summerwood, in Northeastern Houston, will be welcoming the first Class-A office building in the area for the first time in over a decade. Redemption Square One will span 85,247 square feet and have five stories. 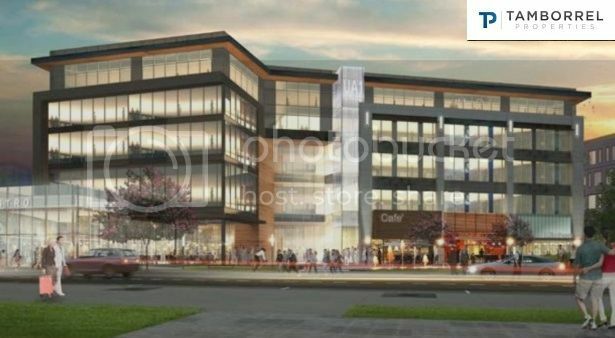 It will be a mixed-used development, being home of McCord Development and Generation Park’s corporate offices and offering a mix of restaurants and retail. Redemption Square One is expected to be completed during the first quarter of 2017. Office space, however, is already available for lease. Located at the heart of Generation Park, this new building will offer a wide array of office, living and dining venues. Among these, there will be a Marriott Courtyard hotel. Friday, December 11th, 2015 at 5:00pm. Ernesto Barrios is a sales representative at Liberty Mutual Insurance. He came from Colombia to the United States 15 years ago to study at the University of Houston. He has been living in The Woodlands for over 8 years and about 5 years ago he joined Liberty Mutual. He considers this company to be a great fit with him, as Liberty Mutual is a company that focuses on the customer, always looking to do the right thing for him/her. Nowadays, Liberty Mutual mainly focuses in auto insurance, life insurance and property insurance; the latter being their main strength. Thursday, December 10th, 2015 at 4:32pm. El pasado 3 de noviembre, los votantes aprobaron un presupuesto de 487 millones para el Distrito Escolar Independiente de Conroe. Este dinero será usado para construir 5 nuevas escuelas en el distrito, incluyendo dos primarias en el área de Oak Ridge, así como reparaciones, renovaciones e instalaciones que actualmente se necesitan en otras escuelas del distrito. Los primeros diseños para una de las dos escuelas primarias han sido revelados. Esta primaria se ubicará en el vecindario de Imperial Falls, entre Grand Parkway y Riley Fuzzel Road. El diseño final será revelado en enero y la construcción comenzará en marzo de 2016. Se espera que la escuela abra sus puertas para el año escolar 2017-18. Thursday, December 10th, 2015 at 4:19pm. Se estima que para antes que finalice el 2015, los segmentos F-1 y F-2 del Grand Parkway serán completados. Estos consisten en caminos que conectan la carretera 290 con la I-45. De acuerdo con oficiales de Grand Parkway, porciones del segmento G, el cual conectará al I-45 con la carretera 59 serán completados en el primer cuarto de 2016. 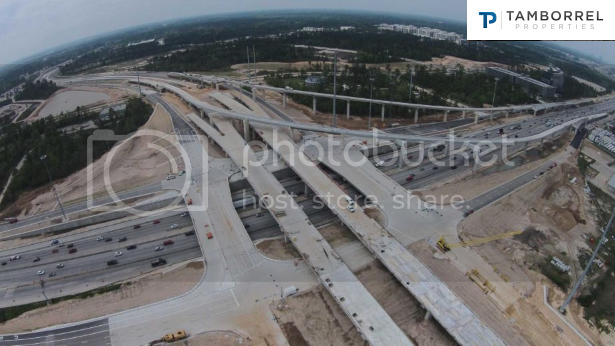 Una vez que se realice la apertura de estos segmentos, la movilidad y accesibilidad en el área incrementará de manera considerable, sobre todo cuando se esté viajando desde la I-45 y The Woodlands a la carretera 249. También proporcionarán una ruta más rápida a la carretera 59. Thursday, December 10th, 2015 at 2:31pm. The Woodlands Ice Rink abrió sus puertas para la temporada navideña este pasado 19 de noviembre, para que las familias de The Woodlands y sus alrededores puedan ir a divertirse. Como todos los años, habrá descuentos y promociones para aquellos que visiten la pista de hielo. Éstas dependerán del día de la semana y ofrecerán diferentes beneficios. Lunes: Día de traer a un amigo. Compra una entrada a precio completo con renta de patines y obtén la siguiente gratis. Martes: Día del residente. Residentes de The Woodlands ahorran 3 dólares del precio semanal de una entrada para adultos.